"Alumawood" shade structures are an excellent way to extend your living space outside your home. Whether you're attaching a shade area to your home or building a freestanding privacy retreat, an Alumawood shade structure has the design flexibility needed to make your vision a reality. 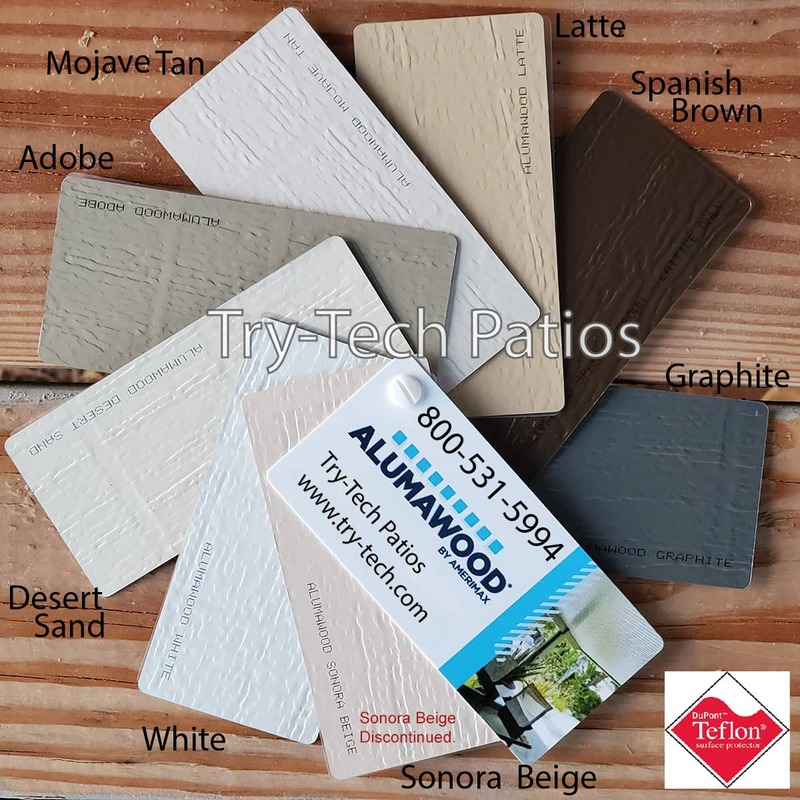 With the embossed surface of the Alumawood shade structure, you'll enjoy the beauty of a richly textured wood grain finish with low maintenance and upkeep. Unlike traditional wood or new vinyl units, an Alumawood shade structure won't crack, peel, warp, rot or fade. See color options.